How long should you rest between sets of an exercise? How long should you rest between different exercises? Simply put, if your rest periods are too long or too short, you’ll end up sacrificing the results you want to some degree. The goal is to find that sweet spot right in between resting too much or too little. When you find that, you’ll have found your optimal rest time. What intensity/rep range you are using for a given exercise. How demanding that exercise is on your body as a whole. 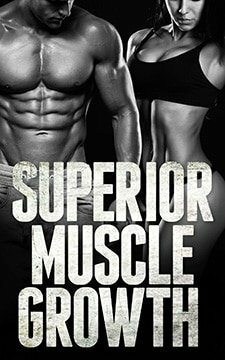 Your primary goal (building muscle, increasing strength, losing fat, etc.). Based on these three factors, it’s pretty common to see rest time recommendations of anywhere from 0 seconds to 5 minutes between sets and exercises. Yeah, that’s a pretty broad range. Luckily, this range can be narrowed down greatly by applying each factor to your exact situation. Here’s how. In my post about weight training intensity, I explained that the fewer reps you can do per set of an exercise, the higher your training intensity is. And, the more reps you can do per set of an exercise, the lower the intensity. You know, like how only being able to lift a weight for 5 reps means you are training at a fairly high intensity, while being able to lift a weight for 15 reps is a fairly low intensity. Ring a bell? Good. The higher the rep range/lower the intensity, the less rest you need between sets of that exercise. The lower the rep range/higher the intensity, the more rest you need between sets of that exercise. So, for example, if you are doing 6 reps per set of an exercise, you would need more rest between sets than if you were doing 12 reps per set of the same exercise. Along with how many reps you’re doing per set of an exercise, the exercise itself and how demanding it is on your body also plays a big role in how long you should rest. The more demanding an exercise is on your body, the more rest you need. The less demanding an exercise is on your body, the less rest you need. Meaning, exercises for bigger muscle groups like legs, chest and back typically need more rest between sets than exercises for smaller muscle groups like biceps, triceps and calves. At the same time, more demanding compound exercises like squats, deadlifts, pull-ups, and various presses and rows typically require more rest between sets than less demanding isolation exercises like lateral raises, dumbbell flyes, biceps curls, triceps press-downs, leg extensions or anything similar. Even if the isolation exercise is for a bigger muscle group, it still needs less rest between sets than a compound exercise for that same muscle group. Again, it makes perfect sense. The final major factor influencing rest times is your specific fitness goal. You see, rest time between sets can be classified 2 different ways, complete and incomplete, and both have their own pros and cons depending on your goal. Complete (or near complete) rest times. This type of rest is longer in duration and allows for more recovery of your central nervous system. This means you’ll be able to maintain your work capacity better, maximize strength performance and basically be at your strongest from set-to-set and able to lift the most amounts of weight for the most amounts of reps. 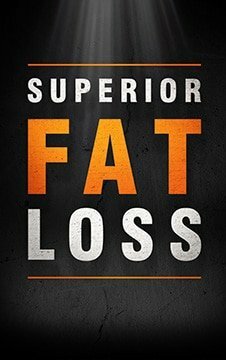 However, the amount of fatigue and metabolite accumulation (all of which play a role in fat loss, building muscle, and improving muscular endurance) is typically lower. This type of rest is shorter in duration and allows for more accumulated fatigued (which is associated with higher increases in growth hormone) along with various metabolic benefits as well. However, the amount of neural recovery will be lower, and this means your strength and work capacity from set-to-set will be a lot lower as well. Which type of rest is best for me? As you can see, there is something good and bad about each, and this is when your primary goal comes into play. As you can see, it doesn’t have to be JUST incomplete or JUST complete rest times. Rest times don’t have to be JUST real short or JUST real long. You can rest somewhere in the middle and get the benefits of both types of rest. So, How Long Should I Rest Between Sets? Resting 20-60 seconds between sets is probably ideal for you. If the exercise being done is more demanding on the body, rest more towards the higher end of that range. If it’s less demanding, rest more towards the lower end. Resting 2-5 minutes between sets is probably ideal for you. The higher your training intensity is for a given exercise and/or the more demanding it is on your body, the more you should stay towards the higher end of that range. The lower the intensity and/or less demanding it is, the more you should stay towards the lower end of that range. Resting 1-3 minutes between sets is probably ideal for you. The higher your training intensity is for a given exercise and/or the more demanding it is on your body, the more you should stay nearer to the 2-3 minute range. The lower the intensity and/or the less demanding the exercise is, the more you should stay in the 1-2 minute range. How Long Should I Rest Between Exercises? Regarding how long to rest between different exercises, it should usually be about as long as you rested between sets of the previous exercise. Meaning, if you rested 3 minutes between sets of Exercise #1, you should rest about 3 minutes before doing your first set of Exercise #2. I actually tend to be a little less strict when it comes to rest times between exercises, because sometimes you just need a little more time to recover from that last set of the previous exercise as well as time to actually get to and set up at your next exercise. So, if you end up taking an extra minute or 2 when switching from one exercise to the next, that’s usually alright with me unless otherwise instructed. However, your rest times between sets of each exercise should stay much more strict and consistent.